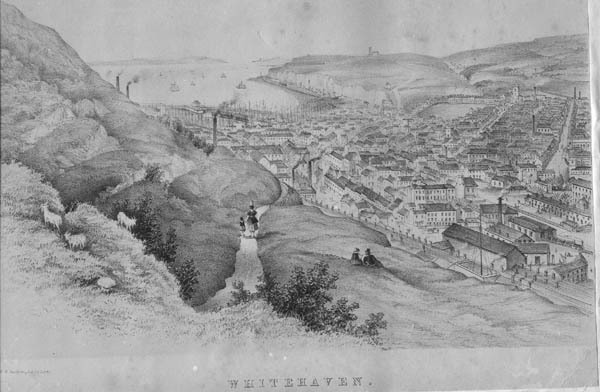 WHITEHAVEN.org.uk All you need to know about Whitehaven in Cumbria. Official town site Features, history, business and tourist information, churches clubs, attractions. Locally based service. Do you want to get on the Net? get in touch with our visitors. Check out if you can help long lost families regain contact. The market is the heart of a good Thursday and Saturday, but our web traders are contactable every day. Big Apple coming to Whitehaven? Interesting to see if New York allowed to join the RFL. The Betfred Championship and League 1 clubs this week (April 11 2019) attended a meeting with the RFL and representatives of the New York and Ottawa bid teams, to discuss their proposals for entering the Betfred League 1 division next year. Haven chairman, Tommy Todd, was in attendance representing Whitehaven RLFC.Will there be away day trips to the Big Apple in 2020! Pictured is an offshore drilling platform drilling to test for layers of coking coal off St Bees Head. 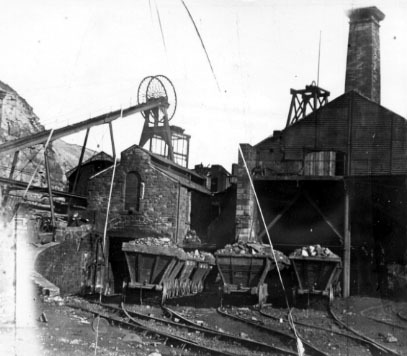 West Cumbria Mining hope to start the extraction of coking coal off the coast of St Bees, with a processing plant on the former Marchon site at Kells. Coal would be treated at a processing plant using around a third of the former Marchon site and covered by a dome, before being transferred to a train loading facility on a siding built by WCM south of the new Mirehouse train station. County Council planning panel voted to approve the plans on Tuesday, March 10 2019 . Free space available to Cumbrian traders at Whitehavens Traders day in St Nicholas Gardens 14th June. for a booking form contact Whitehaven TIC or Richardson Wines. 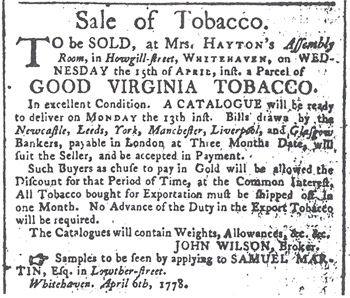 Read about Whitehaven's role as the tobacco trading hub for Europe & the links with the early US colonies. 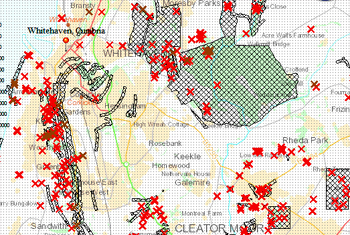 Spot the Mineshaft near you! 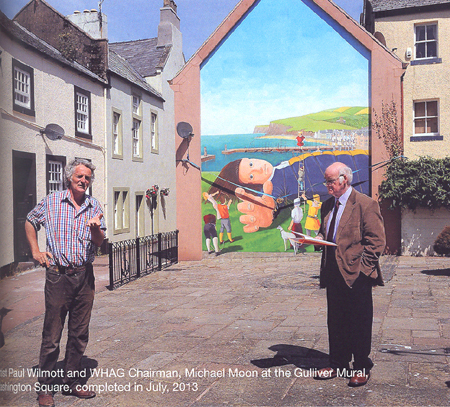 A new booklet by Margaret Crosby "A Passion for Whitehaven" outlines the work of the Heritage Action Group, including funding this 2013 mural showing the town's connection to Gulliver's Travels and Jonathan Swift. The book is an ideal Christmas pressy from Michael Moon's bookshop. Now in 2017 demolished, what was previously the town's swimming pool, then became a nightclub, known to many from past decades as The Park. 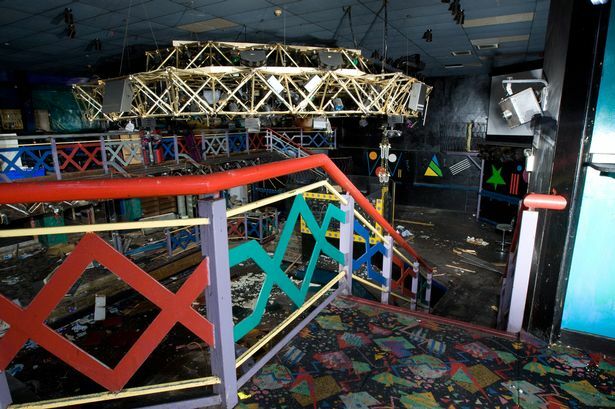 Featured in the Daily Mirror this picture of the sad interior remains of the Park nightclub. Pic by Dave Wilson. Atmospheric video on the footplate of steam shunter working at Lowca....you can almost smell the steam and coal dust! 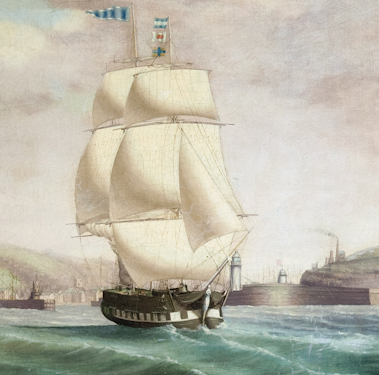 How a Whitehaven seaman was involved in the famous Mutiny on the Bounty..find out more. On June 5 2008 Queen Elizabeth and the Duke of Edinburgh were cheered by around 10,000 wellwishers along the harbourside. 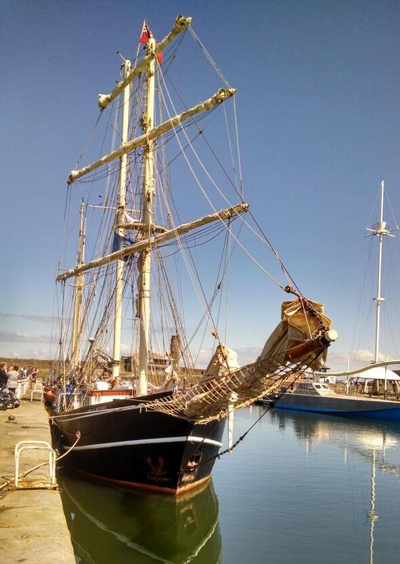 The event marked the 300th anniversary of the grant of the Royal charter for the harbour. 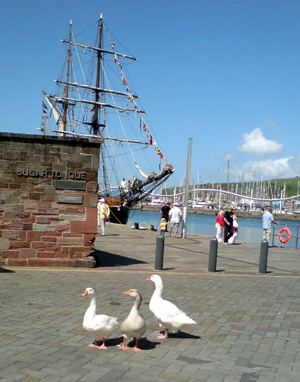 See the actual Royal document in which Queen Anne granted Whitehaven her harbour. 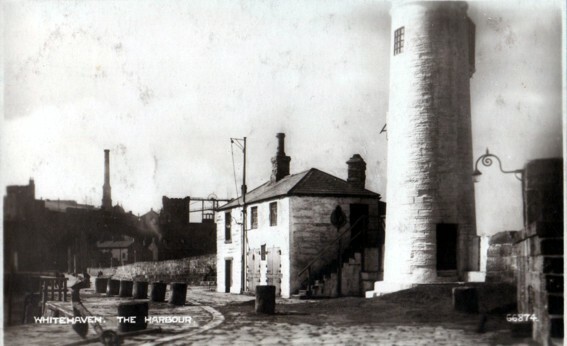 Find out more about the old pubs and characters that have made Whitehaven unique.